Craving for saving? Put your money where your mouth is (or where you would rather it be) with a delicious burger bank! 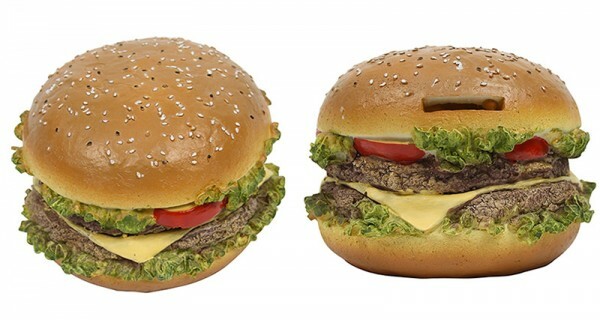 Just the thing for saving up for that next burger lunch date or simply saving for the next rainy day, this resin realistic looking Hamburger Bank is putting the fun back into the often not so fun task of saving our pennies. The Hamburger Bank is priced $38 from Matt Blatt and with any luck will have you saving quicker than you can say two all beef patties, special sauce, lettuce, cheese, pickles, onions on a sesame seed bun!